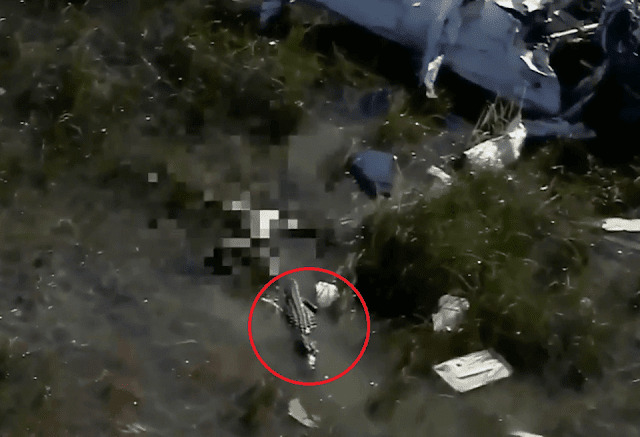 An alligator can be seen next to the body of the victim, which is blurred. 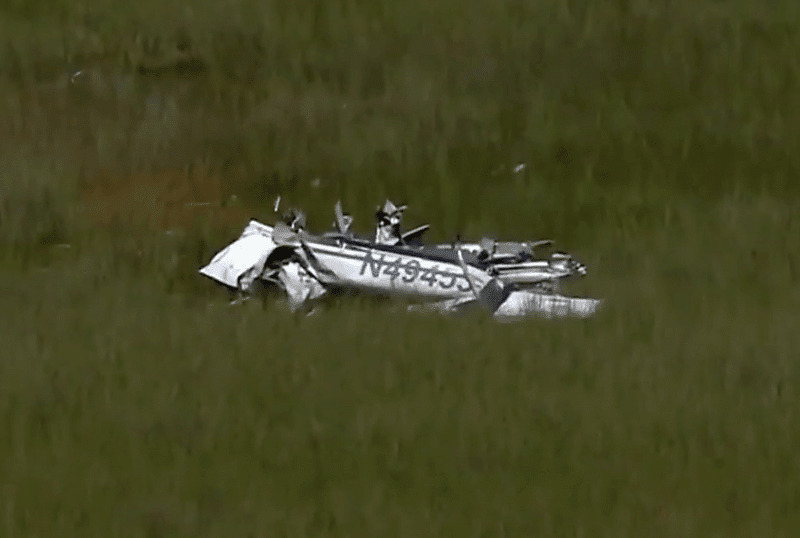 On July 1, 2017, about 2118 eastern daylight time, a Cessna 152, N49453, was destroyed when it impacted terrain in Everglades National Park, Homestead, Florida. The private pilot was fatally injured. The airplane was registered to Air Christian, Inc., and operated by Dean International, Inc., dba Dean International Flight School (Dean International), under the provisions of Title 14 Code of Federal Regulations (CFR) Part 91. Night visual meteorological conditions prevailed at the time and no flight plan was filed for the personal flight, which originated about 2051 from Miami Executive Airport (TMB), Miami, Florida. The owner of Dean International reported that, earlier on the day of the accident, the accident pilot flew 1.6 hours with a flight instructor on an instrument training flight in the accident airplane. After landing, the flight instructor exited the airplane and instructed the pilot to tie down the airplane. The pilot did not return the keys to dispatch personnel, who were present until about 2000 that night. The airplane was fueled by Signature Flight Support about 1752, then security cameras depicted the airplane taxiing out and departing TMB. The airplane subsequently returned to TMB and landed uneventfully. The pilot's girlfriend reported that, at 2004 and again at 2005, the pilot attempted to contact her. After seeing the 2nd missed video call from him, she initiated a video call with the pilot at 2006. At that time, he was in the cockpit of the airplane and had just landed. She remained on the call with him while he taxied to the ramp and while the airplane was fueled at 2029. During the call, he informed her he had "1 hour to go" and that he did not want to lose that hour flight time. She asked him if he was flying the next day and he said that, if he did not fly that night, he would lose that hour. She remained on the call with him during the subsequent engine start, taxi, and takeoff. 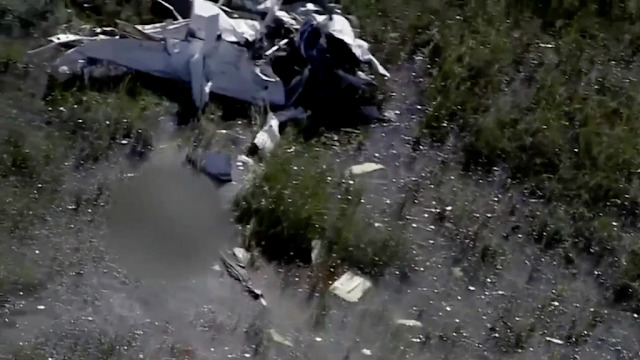 Federal Aviation Administration (FAA) voice communication information revealed that, about 2040, the pilot contacted ground control and was cleared to taxi to runway 9R. About 2051, he was cleared to take off from runway 9R with a right turn to the southwest. The pilot's girlfriend further reported that, after the airplane became airborne, she told him he needed to concentrate because it was nighttime, and he replied that he would call her when he returned. The video call then ended (after being on continuously from 2006 to 2112), and the girlfriend immediately sent the pilot a text message, indicating "[Please be] safe hon." He did not reply. She sent another text message to him at 2116 stating, "Am worried [you] had to fly at night"; he did not reply. She did not receive any further communication from him. According to FAA air traffic control (ATC) radar information, the first uncorrelated radar target presumed to be the accident airplane appeared at 2052 and was located about 846 ft and 106° from the departure end of runway 9R at an altitude of 675 ft mean sea level (msl). The targets depicted the airplane turning to the southwest and proceeding to HOLMU, which was the initial approach fix for the RNAV (GPS) RWY 10 approach to Miami Homestead General Aviation Airport (X51), Homestead, Florida (Figure 1). After crossing HOLMU, the pilot made a procedure turn to enter the hold, flew outbound, then turned right and flew back to HOLMU, where he performed one complete hold maintaining about 1,400 ft msl. The radar data depicted the airplane turning right toward a westerly heading; however, during this time, the airplane's altitude varied. Between the last 2 radar targets, about 4 seconds apart, the airplane descended from 1,300 ft msl to 950 ft msl, and turned from a heading of 272° to 324°, which was calculated to be an average descent rate of about 6,000 ft per minute and a turn rate that exceeded standard rate. The pilot was not in contact with any FAA ATC facility at the time of the accident. There were no known witnesses to the accident, and there was no emergency locator transmitter (ELT) signal identified in the area. The owner of the flight school reported that he noticed the airplane was not on their ramp the next morning but was scheduled to be flown that day. The next day (July 3), flight school personnel began looking into its last activity. On July 4, when the airplane still had not yet returned, it was believed that the airplane was "stuck overnight on the west coast" due to weather. On July 5, the flight school began their search for information concerning the missing airplane and also contacted the TMB control tower alerting them of the missing airplane. TMB tower personnel subsequently tracked the airplane from departure to the point where radar contact was lost and alerted Miami-Dade Fire Rescue about 2132 on July 5. 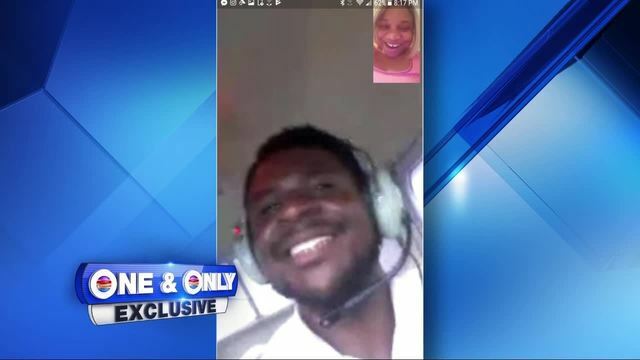 About 2200, a Miami Dade Fire Rescue helicopter was dispatched from TMB to the last known coordinates, and the wreckage was located about 2228. Because of the environmental conditions, the helicopter was unable to land, but the Miami-Dade Police Department was dispatched to the site. 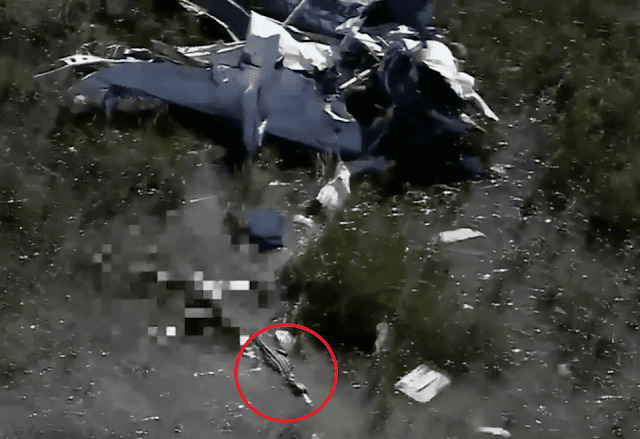 The pilot's body was recovered on July 6, 2017. The first identified impact point was located about 1,815 ft and 009° from the last radar target. The pilot, age 29, held a private pilot certificate with a rating for airplane single-engine land, issued April 18, 2017, and held a 1st class FAA medical certificate with no limitations, issued December 1, 2016. According to the operator, the pilot's total flight experience was 136.3 hours, all of which was in the accident airplane make and model. He had accrued 66.6 hours as pilot-in-command, 42 hours in the previous 90 days and 12 hours in the previous 30 days; he had flown 3 hours of night operations, none of which were in the previous 90 days. He had accrued 29.4 hours simulated instrument flight, of which 10.6 hours were in the previous 30 days. Registered Owner: AIR CHRISTIAN, INC. The two-place, high-wing airplane, serial number 15281280, was manufactured in 1978. It was powered by a 110-horsepower Lycoming O-235-L2C engine and equipped with a McCauley two-bladed, fixed pitch aluminum propeller. It was also equipped with vacuum-driven gyroscopic flight instruments consisting of an attitude indicator and directional gyro, and an electrically-operated turn coordinator. Dean International, Inc., purchased the airplane on June 15, 2008, and it was used for visual and instrument flight rules flight training. Since purchase, it had accrued about 7,084 hours. The airplane was maintained in accordance with 14 CFR Part 43 Appendix D and inspected every 100 hours and annually. Maintenance records indicated that the airplane's last altimeter, static system, and transponder tests were performed on July 8, 2016, and the last 100-hour inspection was on June 27, 2017. The recorded hour meter reading at the 100-hour inspection was 3,670.5; the hour meter reading at the time of the accident was 3,690.0 hours. The flight instructor who flew with the accident pilot earlier that day initially reported that there were no discrepancies with the engine, engine systems, airplane, or airplane systems during the 1.6 hour flight; however, he later reported that, "while flying, the [attitude indicator] was showing a slight bank to the right of 3 degrees or less." A review of the airplane discrepancy sheets from January 5, 2017, to June 27, 2017, revealed only 1 entry pertaining to an inoperative attitude indicator. The corrective action indicated that the defective indicator was removed and replaced and the system was tested on January 27, 2017. The airplane was then approved for return to service. The NWS southeast section of the Surface Analysis Chart valid from 2000 EDT (0000Z July 2, 2017) depicted a high-pressure ridge extending over the area with easterly winds of 10 to 15 knots across south Florida associated with the tropical trade winds. No frontal or outflow boundaries associated from any thunderstorms were depicted across the region. A review of the NWS National Composite Radar Mosaic revealed no echoes within 20 miles of the accident site. The TMB Automated Surface Observation System, located about 20 nautical miles (nm) east-northeast of the accident site reported at 2053, wind from 090° at 8 knots, 10 statute miles visibility, scattered clouds at 2,500 ft above ground level, temperature 29°C, dew point 24°C, and an altimeter setting of 30.14 inches of mercury. The Miami 2000 sounding was reviewed and a High Resolution Rapid Refresh (HRRR) numerical model for 2100 over the accident site. The sounding indicated a relative humidity greater than 80%, supporting scattered low clouds between 1,500 and 3,000 ft. The wind profile indicated a surface wind from 100° at 5 knots, with winds from the east with little directional variation with height. The mean 0 to 18,000 ft wind was from 080° at 6 knots. The wind profile did not identify any strong vertical wind shears supporting any significant turbulence below 10,000 ft.
At the time of the accident, the sun was more than 15° below the horizon at an azimuth of 300°. The moon was 54° above the horizon at an azimuth of 213°, the phase was a waxing gibbous with 60% of the moon's visible disk illuminated. The airplane impacted marshy terrain about 10 nautical miles west of X51; no ground reference lights were in the surrounding area. The first identified ground scar exhibited a teardrop shape and an energy path oriented on a magnetic heading of 075°. The right main landing gear brake assembly and right wingtip were located on the right side of the energy path, and the nose landing gear was located on the left side of the energy path. Additional components of the airplane were located on both sides of the energy path between the initial impact crater and the main wreckage. No odor of fuel or fuel sheen was noted. The main wreckage was also located about 136 ft and 068° from the first impact location. The fuselage was oriented on a magnetic heading of 194°. The main wreckage consisted of the fuselage, wings, empennage, and engine. All observed and identified components were recovered on July 8 and secured for further examination. Examination of the wreckage following recovery revealed that all structural components and primary and secondary flight controls remained attached or were recovered from the immediate vicinity of the accident site. None of the parts exhibited evidence of pre- or postimpact fire. The cockpit was fragmented. The pilot's seat was separated from the airplane, and the seat lock pin was bent aft. The pilot's lap belt was not latched, and the single shoulder harness was not attached to the lap belt. No stretching was noted to either the lap belt or shoulder harness webbing. Both control wheel tubes (shafts) were separated from the control wheels at the rivets and from the control Y assembly at the universal joints. Only one control wheel was found during the wreckage examination. The control wheel was fractured and separated from the control tube. The leading edges of both wings exhibited full span chordwise crushing. The main spar of the left wing and the aft spar of the right wing were fractured at wing station 84.00; the fracture surfaces exhibited overload failure. Both lift struts remained connected at both ends, and the full spans of both flaps remained attached. 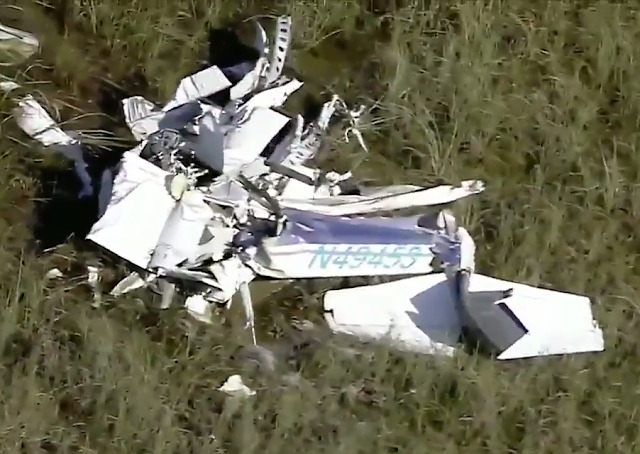 Both left and right ailerons were accounted for. Examination of the left wing revealed that the stall vane hose was separated from the stall inlet attach point at the aft side of wing leading edge, and the stall horn was separated from the opposite end of the hose. Examination of the aft fuselage revealed that it was fractured at fuselage station 173.41, about the location of the leading edge of the horizontal stabilizers, but remained connected by the control cables. A compression wrinkle was noted on the left side of the bulkhead below the leading edge of the horizontal stabilizer. The vertical stabilizer, rudder, both horizontal stabilizers, both elevators, and the right elevator trim tab remained connected. The elevator trim tab actuator was extended about 1.4 inches, which equated to a neutral trim position. The fuel strainer outlet fitting was fractured and open to the environment, while the inlet line remained attached. The strainer was drained from the inlet line and about 1/4 ounce of blue-colored fuel was drained from the unit; no water was detected when using water finding paste. The bowl was removed and contained mud; the screen was clean. Flight control continuity was confirmed from the cockpit to each control surface with overload bending fracture of the elevator push/pull rod, tension overload of the left rudder cable about 35 inches aft of the rudder bar attachment, tension overload of the aileron balance cable. The flap cables of both wings exhibited tension overload. The flap actuator was extended 3/16 inch, consistent with a flaps-retracted position. Examination of the separated attitude indicator as first viewed revealed that it depicted a right bank of about 090°. Further examination of the attitude indicator revealed that all fittings remained attached at the air, vacuum, and vacuum gauge bosses on the back of the instrument, and sections of hoses remained attached to each fitting. The hoses and fittings at the back of the instrument were tight but no hose clamps were present. Impact damage precluded operational testing of the instrument. A portion of the air boss was displaced. The housing was removed and the frame was not fractured, but the rotor rear support was fractured. The rotor and rotor housing were removed, and the rotor was removed from the rotor housing. The rotor did not exhibit any scoring, while the rotor housing interior revealed about 120° circumference of tooling marks consistent with the engineering drawing. Examination of the directional gyro, which remained secured to the instrument panel, revealed that the glass face with silhouette was missing; it depicted a heading about 080°. The gyro back was fractured with only a portion of the fractured air boss in place. The directional gyro was removed from the panel, and the rotor assembly, which was loose, was removed from the instrument. Examination of the rotor housing interior and rotor revealed light scoring on one end. The rotor bearings rotated smoothly with no drag noted. The vacuum regulating valve remained secured to the aft side of the firewall. One fitting, with an attached 12-inch length of rubber hose, remained attached to the left port, but the right port was fractured. The hose section that was attached to the left port was tie-wrapped to another section of hose that contained a boss from an instrument consistent with the directional gyro. The vacuum regulator was removed and the remaining hose was removed from the port. Inside the port was hard debris that was convex in shape and hard on the exterior, but soft on the interior. The debris was submitted to the NTSB materials laboratory for examination, which determined that it was likely insect excretions. Examination of the engine-driven vacuum pump revealed that a section of hose remained attached to one port, but that the hose that connected to the firewall fitting of the vacuum regulating valve was separated from the regulating valve; the fitting at the valve exhibited impact damage. Disassembly examination of the vacuum pump revealed that the splined drive and shear coupling were intact and the rotor and rotor vanes were not fractured. The vanes were identified for their appropriate slot in the rotor, removed, and measured as a group about 0.762 inch (the worn-out dimension, or minimum service limit, is 0.585 inch). The propeller separated from the crankshaft flange, but the propeller was found in close proximity to the main wreckage. Examination of the engine following recovery revealed that internal binding prevented 360° rotation of the crankshaft; therefore, verification of valve clearance could not be performed. All cylinders, which remained secured to the engine, were removed and mud was noted on the piston domes. Examination of the removed cylinders revealed no evidence of preimpact failure or malfunction of the valve train. Following removal of all cylinders, the crankshaft rotated freely and continuity was confirmed. No lubrication issue was noted to any component of the engine. The left magneto remained attached, while the right magneto was separated and not recovered. The upper and lower securing hardware for the right magneto were in place, and a section of magneto flange was noted under the upper securing clamp. The left magneto did not produce spark when rotated; disassembly revealed water contamination. The coil tab was displaced down from its normal position. None of the gears had missing teeth, and the points appeared satisfactory. The oil sump with section containing the engine data plate was not recovered, but the carburetor, which separated from the oil sump, was recovered. The carburetor inlet screen was clean. The carburetor bowl was removed from the body and the floats appeared satisfactory; the bowl contained dried mud. Examination of the propeller revealed that one blade exhibited a gentle radius forward bend, a gouge on the leading edge near the tip, a trailing edge bend, and trailing edge gouges. The other blade exhibited a smooth radius aft bend about 50° and slight gouges on the leading edge. The cambered side of the blade displayed chordwise scratches. The airplane's emergency locator transmitter (ELT), an Ameri-King 450 approved under FAA Technical Standard Order (TSO)-C91a, was found out of its normally secured position but remained partially secured by its clamp. The switch was in the arm position and the antenna remained connected. A red light emitting diode (LED) light was illuminated. The switch was placed in the off position for recovery. Following recovery of the airplane, the ELT was removed from the bracket, and while the antenna remained connected to the ELT, twice, the switch was placed in the on position and a single momentary click sound was heard; however, no sound was heard on a portable VHF transceiver monitoring 121.5 MHz. An exemplar ELT of the same model was then tested, and after the antenna was connected, the switch was placed in the on position and the ELT signal sound was heard on the transceiver. The accident airplane ELT had a sticker indicating that the battery replacement date was December 2025. 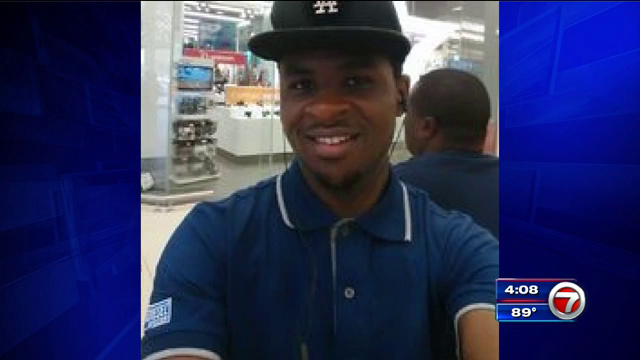 The Miami-Dade Medical Examiner's Office, Miami, Florida, performed a postmortem examination of the pilot. The cause of death was multiple blunt injuries. The FAA Bioaeronautical Sciences Research Laboratory, Oklahoma City, Oklahoma, performed forensic toxicology testing on specimens from the pilot. According to the toxicology report, testing for carbon monoxide and cyanide was not performed. No tested-for drugs were detected in the heart specimen; 79 and 67 mg/dl ethanol were detected in the liver and muscle specimen, respectively, and unquantified amounts of n-propanol were detected in the muscle and liver specimens. The Miami-Dade Medical Examiner's Office toxicology testing was negative for tested drugs; 0.094% and 0.099% ethanol were detected in the right chest blood and bile specimens, respectively. Ethanol is primarily a social drug with a powerful central nervous system depressant. After absorption, ethanol is quickly distributed throughout the body's tissues and fluids fairly uniformly. The distribution pattern parallels the water content and blood supply of each organ. Ethanol and n-propanol may be produced in body tissues after death. According to Dean International Rules and Regulations for all Students, Instructors and Renters, which was signed by the pilot, approval for night flight must be obtained from two individuals of the flight school, one of whom was the owner. The owner reported that the pilot did not have permission from flight school personnel to fly at night. According to the FAA's General Aviation Safety Enhancement Fact Sheet on Spatial Disorientation, pilots flying under both instrument and visual flight rules are subject to spatial disorientation and optical illusions that may cause a loss of aircraft control. Sight, supported by other senses, allows a pilot to maintain orientation while flying. However, when visibility is restricted (i.e., no visual reference to the horizon or surface detected) the body's supporting senses can conflict with what is seen. When this spatial disorientation occurs, sensory conflicts and optical illusions often make it difficult for a pilot to tell which way is up. The FAA Record of Conversations is shocking ... makes your hair stand on end!